Three years ago we found out that my son has severe food allergies and it has made a huge impact on our eating habits. It is very rare that we’ll order in food or go out to eat because I feel more comfortable making his food myself. Before we found out about my son’s allergies, I never knew anyone with severe food allergies so it’s not something I really thought about. Now it’s something that’s on my mind all the time! In addition to foods, we have to be careful with medications, lotions, makeup, cleaning products, craft supplies…and the list goes on! It’s surprising how many non-food products actually contain food. When choosing meals for my family, I spend a lot of time reading labels at the grocery store and I only buy products from companies and organizations that I trust. Canadian eggs are on my safe list! Did you know that there are over 1000 egg farmers in Canada? When you reach for that carton of Canadian eggs in your grocery store, you really are getting a local product. All of the Canadian eggs sold at the grocery store have been cleaned, quality-tested and packaged at an egg grading station registered with the Canadian Food Inspection Agency. Proper quality & safety standards are just two of the reasons why I feel confident in my decision to buy Canadian eggs. You can learn more about Canadian Farmers on the Eggs.ca website – you can even find one in your area! It’s nice to know where the food your putting on your table is coming from. While browsing the Eggs.ca website, I came across the Farmer Favourites recipe section. If you’re looking for delicious recipes that use eggs, who better to ask than the farmers themselves! Long weekends call for a pancake brunch so I mixed it up a bit this weekend and tried the Finnish Oven Pancake recipe. 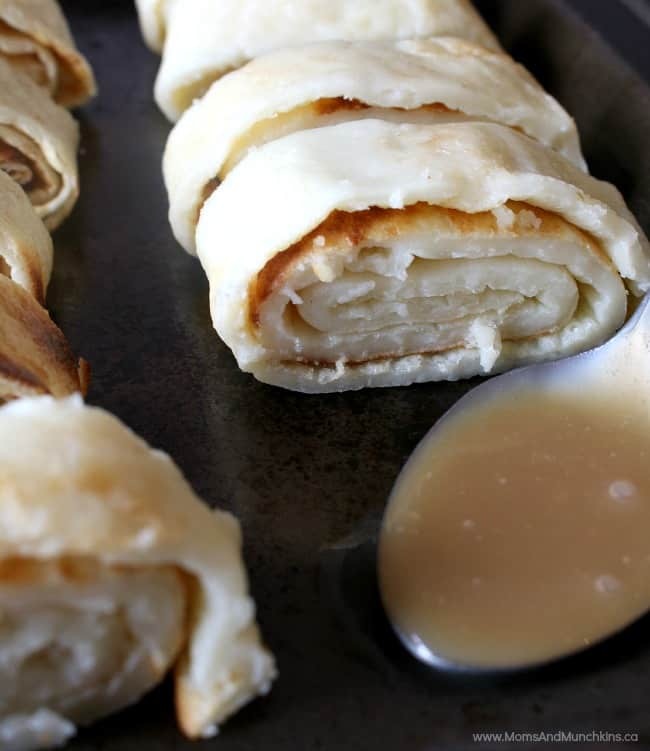 You’ll find the full recipe for the pancakes on their site and I’ll share the caramel sauce recipe I tried below. Making the pancake was really easy and it was cool to watch how high the bubbles would rise while it was in the oven. 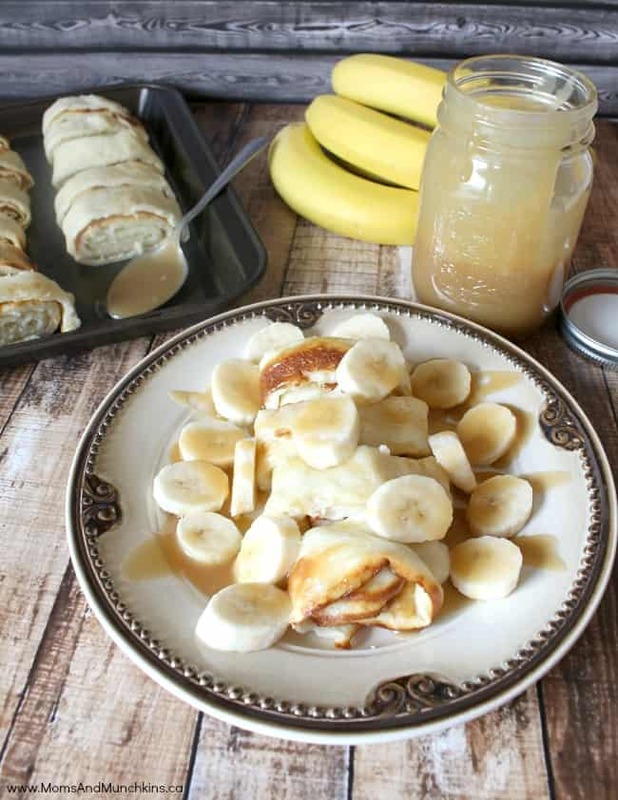 For a tasty weekend treat, I rolled up the Finnish Oven Pancakes and topped them with homemade caramel sauce and bananas. 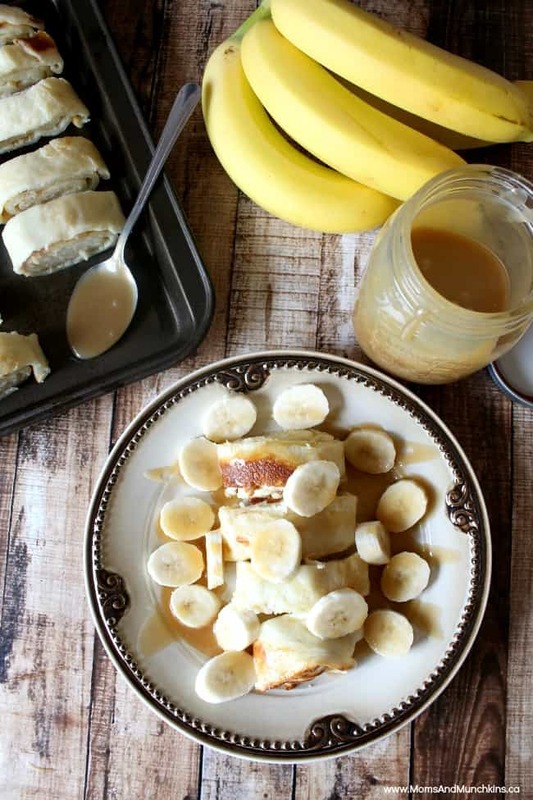 This would be great for brunch or dessert! Place all ingredients in a saucepan and bring it to a boil over medium-high heat. The cream will burn quickly so don't stop stirring it until it comes to a boil. Turn the heat down to medium and let simmer for 10 minutes. You can pour this warm over your pancakes or refrigerate it for a thicker sauce. Another tasty option would be to spread a little butter on it before you roll it up and sprinkle on a mixture of cinnamon and sugar. You could also add fresh berries, whipped cream, pancake syrup…the possibilities are endless! In the Farmer Favourites section, you’ll find tasty recipe ideas for breakfast, dinner, dessert and appetizers. The Blueberry Cake looks incredible tasty! For more tasty recipes & information on egg farming, like the Egg Farmers of Canada on Facebook, follow @eggsoeufs on Twitter and follow them on Pinterest. Your Finnish pancakes look amazing Cheryl. I am half Finnish but my mother never made these, well she didn’t really cook much at all. When I was a little older I did a lot of the cooking in the house. I have to try this recipe for sure!! Thank you so much, Tara! I think you’ll love them! Oh I love pancakes but have never tried any like these. They look really good and I love bananas. Thanks for the recipe! This one looks and sounds sooooo delicious…. 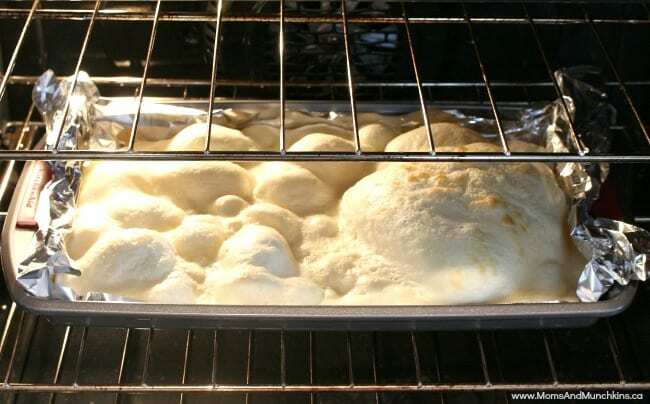 I might even try to make this even though I love this “Finnish oven pancake” best when made traditionally .